How do you get noticed when your audience is more mobile, digital, and finicky than ever? That’s what the major players in the ad industry are trying to figure out. Not only are brands moving their media operations in-house, but many companies are embracing IT consulting firms in lieu of paying ad agencies. Why? It seems that old-fashioned advertising just doesn’t cut it anymore. 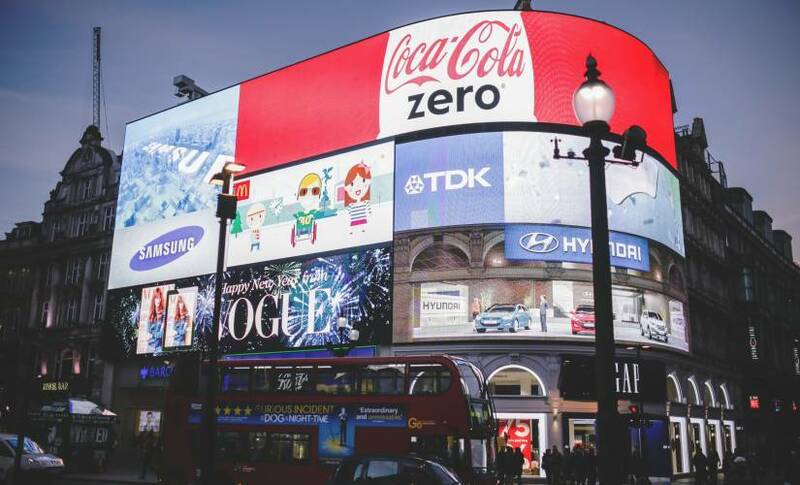 The arrival of ad blocking and the decline of TV ratings have led brands to turn away from digital spots and TV ads, both of which have been the bread and butter of ad agencies. Consequently, the big four ad agencies are seriously shaking up their protocols. This shakeup escalated after Martin Sorrell, the top dog at WPP, one of the world’s four biggest advertising holding companies, resigned in April amidst an investigation into personal misconduct. Sorrell was the brains behind the industry’s modern practice of acquiring smaller competitors, and he built WPP into the giant it is today. But make no mistake: The loss of WPP’s head doesn’t mean smoother sailing for the three other biggies — Interpublic, Omnicom, and Publicis. Instead, it opens up more possibilities for industry shifts. And the big players are in a raft on choppy waters, watching as Google and Facebook gobbled up market share, followed by Amazon and digital consulting firms like Accenture. Consulting firms with digital know-how are becoming increasingly serious competition for ad agencies as the firms woo clients with their ability to reach consumers more effectively and cheaply thanks to data and machine learning. The only way for major ad agencies to compete at this point is to acquire digital knowledge through creation and acquisition, according to Alberto Cabezas-Castellanos, founder and CEO of Gauss & Neumann, a research laboratory with a team of Ph.D.s that work on SEM/PPC architecture and technologies. Some of the ad world’s biggest players are coming around to that very idea at seemingly just the right moment. Facebook recently lost advertising shares for the first time, meaning ad agencies willing to boldly advance can make strides. Ivan Pollard, former senior VP-strategic marketing at The Coca-Cola Co., sees this move as an important step forward — while noting that consultants and ad agencies both have something to learn from each other. By acquiring Acxiom as part of a multibillion-dollar deal that’s expected to close by the end of the year, Interpublic showed its true colors. If the Acxiom acquisition comes to pass, Interpublic will have tremendous access to a wealth of target persona data and information. The agency won’t just be able to shout out messages, it will be able to precisely send them to people when and where they’re most receptive. This move shows the growing importance of data to the ad giant. As WPP looks for a replacement for Sorrell, the company is exploring what assets it can divest in order to make way for investments that will keep it competitive. The next WPP leader will not only need to be well-versed in evaluating these investments, but he or she will need to be willing to take up Sorrell’s sword when it comes to tech behemoths. Sorrell was fond of criticizing tech frenemies as he tried to beat them at their game. With WPP seeking a new chief executive, the company is struggling to hold the business together. At the same time, it’s not giving up the ghost — nor should it. Congress’s public tongue-lashing of Mark Zuckerberg shows that even the mighty can tumble. Omnicom is apparently on the hunt for new partners, according to its CFO Phil Angelastro. After getting rid of Novus and Sellbytel, the agency is in a good financial position to make acquisitions. In fact, revenue for Omnicom climbed 1.8 percent during the second quarter of 2018. By divesting its underperforming services, the company is ready to undertake a massive transformation that includes upping its tech and data game. Publicis has focused on digital investments for several years, but its “Power of One” restructuring has placed it firmly ahead of the pack in terms of digital transformation. By centralizing its internal capabilities, the emerging Publicis looks to be efficient, productive, and disruptive. In addition, the company’s relationship with Sapient enables Publicis to more powerfully work with C-suite executives to help its clients better face digital challenges. As the saying goes, “Better late than never.” For ad agencies confronted by the need for digital transformation, “never” isn’t an option. Those that want to get in the game need to start playing soon. Otherwise, they’ll likely be blindsided when the rules change again.